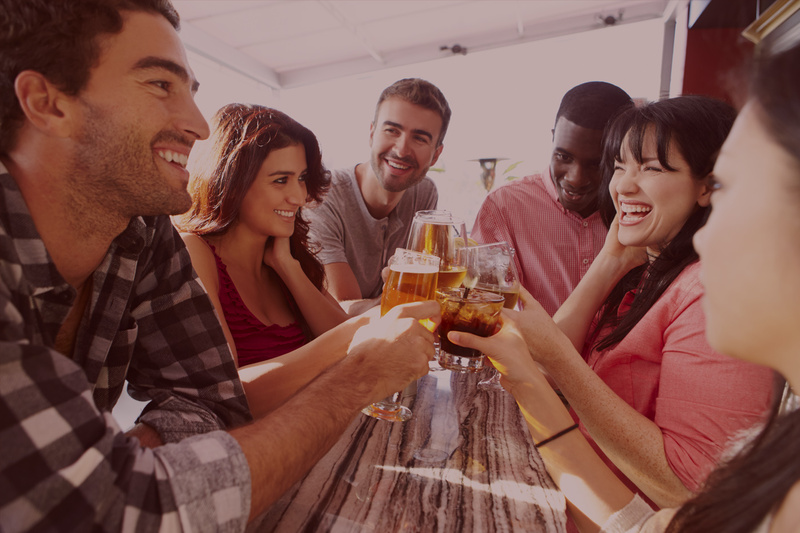 Bar and pub crawls are a great way to have a fun adventure in Downtown Las Vegas with your friends. You will be able to hit up your favorite bars and experience some new places you may not have known about. At each stop, you will enjoy some signature cocktails, great food and meet some new people. While Vegas Pub Crawler will be the designated driver and get you to and from locations, there are some things you can come prepared with that will help make your pub crawl an unforgettable one. Downtown Las Vegas is home to many bars and restaurants that offer different settings and signature drinks. Depending on your group’s preferences, it can be a good idea to have a general idea of the places you would like to visit while on your tour. We will be able to help you determine the best order of each location to maximize the time while on your pub crawl. By knowing the different places you would like to go, this will help cut down the time spent figuring out the next location you would like to venture. The trip should be as fun as the destination. Don’t just have fun while inside of each bar. Keep the party going as you travel from place to place with some fun music and dancing. The Vegas Pub Crawler bike is equipped with high-quality speakers and a docking system. The only catch, you have to provide the music. Come prepared for your pub crawl of Downtown Las Vegas with an iPod that has a playlist of all your favorite party music. Tours of DTLV last between two to three hours, allowing plenty of time to hit up all the bars on your list. You do not need to go overboard at the first bar on the stop, trust us, you’ll want to experience everything DTLV has to offer. Each bar has something different to offer and you don’t want to be that friend that went a little too hard too soon making your friends take care of your. That’s no fun for anyone. Just remember that it is a marathon and not a sprint. Vegas Pub Crawler is the ultimate way to bar hop in Downtown Las Vegas. Whether it is a birthday party, bachelor/bachelorette party, corporate event, wedding party or just because you want a fun night out with your friends, there is nothing quite like pub crawling via a pimped-out cycle. For more information on how you can book your Las Vegas pub crawl, visit our website today.